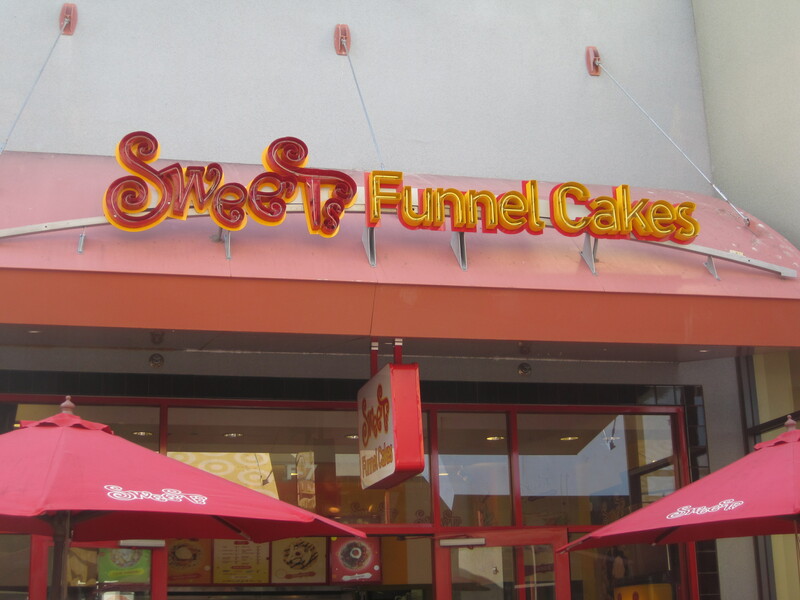 On the subject of new places to get your sweet tooth fix at The Block at Orange, we also discovered a new funnel cake place (well, new to us anyways) called Sweets Funnel Cakes. Although the OC Fair is soon to be upon us, I love finding places to get fair foods where I don’t have to pay admission or deal with the Costa Mesa parking situation. Besides funnel cakes, Sweets has a menu that includes fried Snickers bars and other fair style items. 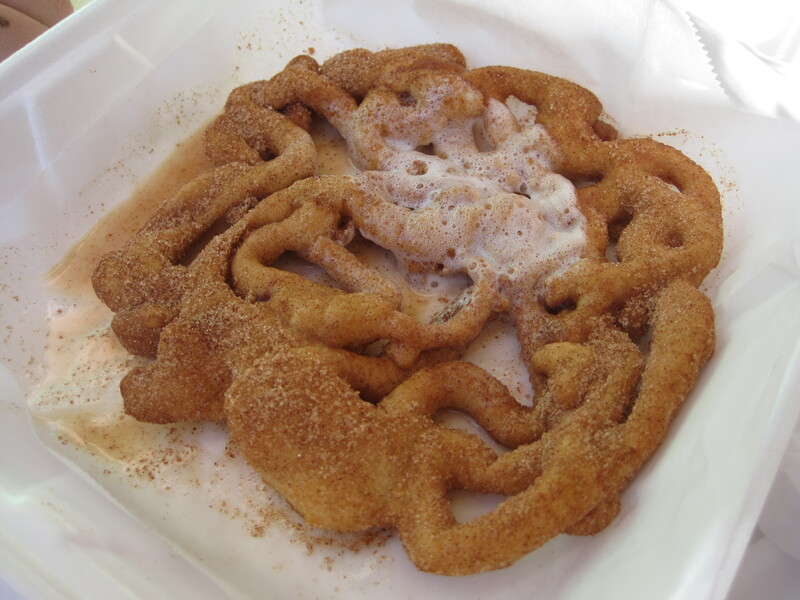 On this particular trip we just got a cinnamon funnel cake, though. It was okay. Nothing special besides being able to enjoy a post movie funnel cake. I don’t ask for a whole lot of my funnel cakes, and we did not experience the sort of rage inducing service that some of the Yelp reviewers have. Although the whipped cream did melt down into a soggy little puddle in the middle there. But then that was kind of our fault for waiting too long to eat it. So, what’s the end verdict? It’s funnel cake at the Block. This is a good trend to me.